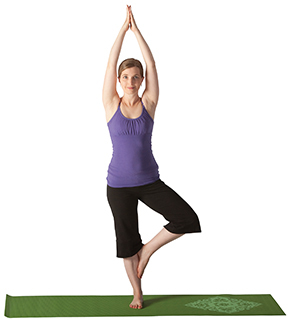 All fitness classes are FREE with your Y membership. program proven to reduce pain and decrease stiffness. motivational classes may be taken either standing or sitting in a chair. 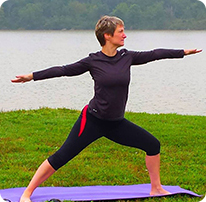 * The Arthritis Foundation Exercise Program will begin January 14 and end May 3, 2019. There will be no class March 11-15 or March 25-29 due to instructor availability. It takes 6 weeks to form a habit. We are giving you 8 weeks! 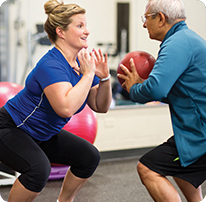 Beginning April 1 your goals are set for you to attend 2 classes per week, prepare 4 healthy recipes/meals per week and complete 2 hours of independent workouts of your choice at the YMCA. You will report your times or classes at check in and upon leaving the facility. Meals are self-reported. There will be additional weekly challenges (ie: no soda) for participants to earn bonus rewards. Weekly reports will be required. The week of May 27th, everyone who has successfully completed the challenge will not only have won new habits but will also be entered into a drawing for a $50 Aldi gift card. 8 week program for any member who is diabetic or at high risk for diabetes. 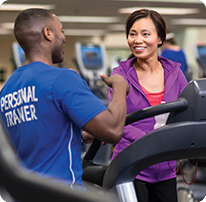 Participants perform the CDC’s recommended 150 minutes per week of exercise and report their exercise time upon leaving the YMCA after workouts. Exercise type is at participant’s discretion. Participants prepare and report 4 diabetic-friendly meals/recipes per week. There will be additional weekly bonus challenges. Workout check-ins and weekly meal reports are required. Register for this fun fitness competition. This challenge includes weekly weigh-ins, fitness tips and more! This 8 week challenge is designed to motivate and inspire you into a healthy and fit new lifestyle! The competition is judged by percentage of weight loss. Weekly weigh-ins are required to qualify for all prizes throughout the challenge. Take an evening to "pamper" yourself. We will offer fitness classes, workouts, use of the sauna, pampering options and relaxation. You can choose to participate in everything or just pick a few and relax. Pre-Registration is required. The Y and the Kirksville Aquatic Center are teaming up to host the 3rd Annual Indoor Triathlon. Participants will have 9 weeks to complete this challenge. Everyone who competes will be eligible for a prize. All participants will choose their distance of either a Half, Full or Ultra Triathlon. Tracking for participants will be an online information graphic. You will drop off a card at either location after you finish part of this challenge. Participants can turn in distance slips at either location. Water Aerobics would be equivalent to .25 miles. Group Aerobics would be equivalent to 3 miles for the Ultra and Full and 2 miles for the Half. Pre-Registration is required. Please inquire at the front desk about all of our personal training options. All of our personal trainers are certified and can work around your schedule! Copyright © Adair County Family YMCA. All rights reserved.